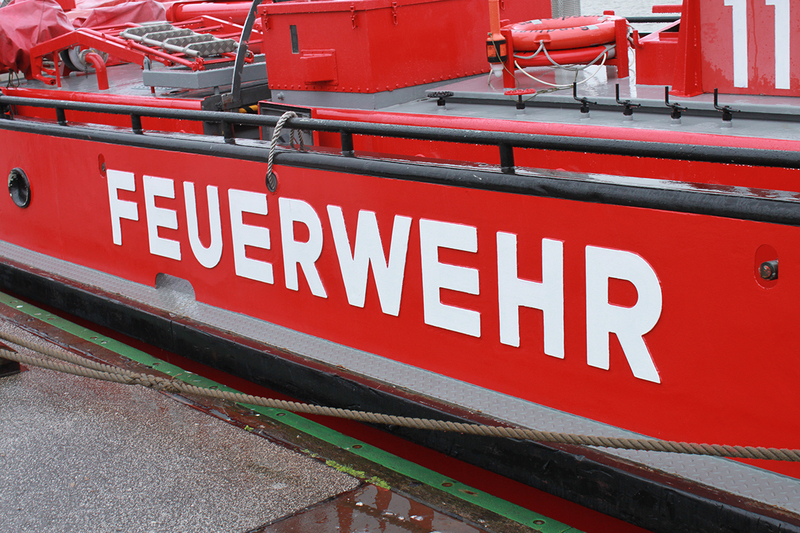 The Fire and Rescue Service Hamburg is arranging a full-scale exercise on 13th May 2017 in Hamburg, Germany. About 250 persons are taking part in the exercise and it is one of the biggest exercises that have been arranged in Hamburg. Material testing of pipelines is being conducted at the premises of a company. The radioactive source indicates high activity in Terabecquerel (TBq) range. At the same time, an inland waterway vessel collides with a tanker. The tanker strands and heavy fuel oil is leaking out. The inland water vessel is badly damaged, but can make it to the port. Immediately after it docked at the port a damaged containment of a 20 ft. gas container UN 1079, sulfur dioxide, breaks open, releasing huge quantities of aerosol, which is spread by the wind. About 75 staff members doing inspection work at the pipeline systems are being contaminated. The crew members of the inland waterway vessel make an emergency call and manage to go ashore, though injured. The plant fire department triggers an alarm and the command centre is alerted. Staff members of the material testing company are leaving their workplace in panic without retracting the radioactive source due to the alert triggered and the impairment caused by released gases. The vessel crew is running into danger because of the cone of rays of the radioactive source. Reviewing the work of the command centre and improvement of communication.